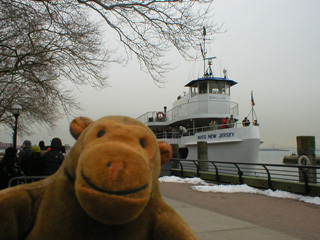 After leaving Liberty Island, the ferry quickly sailed to Ellis Island. 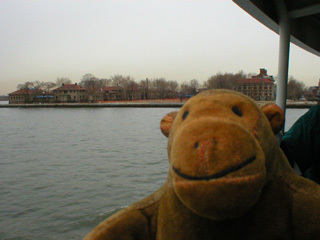 Mr Monkey jumped off onto Ellis Island, as so many immigrants to America had before. Well, not quite, as most of the immigrants that went to Ellis Island landed on the mainland and were then bundled into ferries to Ellis, where they landed at the ferry terminal instead of outside the main building. And Mr Monkey was only visiting, not migrating.